Discount ladies flat heel open toe dance shoes 1670FT. Ladies flat heel latin dance shoes. These ladies discount dance shoes have straps that cross at your ankle, are also great salsa shoes and have a 1" flat heel for comfort! Width: medium -Sizes 4.5-10. There are 3 color options: black leather, tan satin and tan leather, all with suede soles. 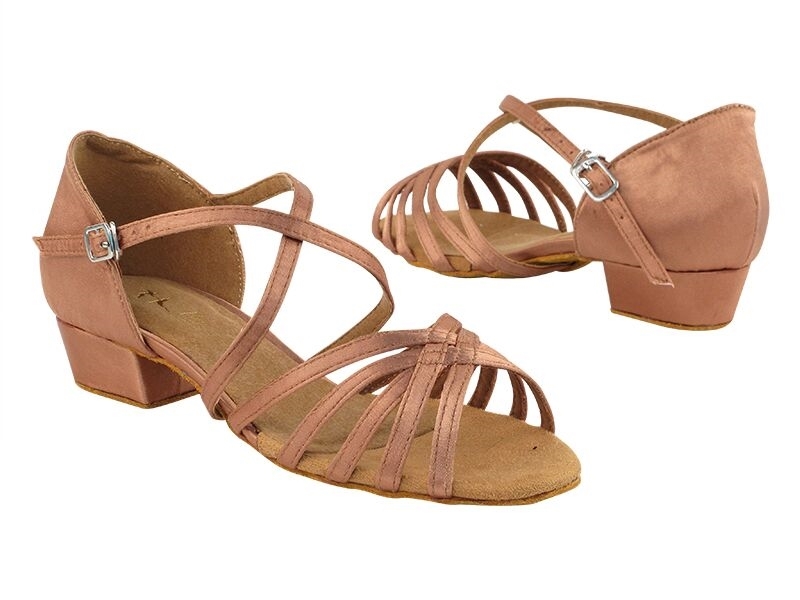 Discount open toe ladies ballroom dance shoes with quick release buckle.